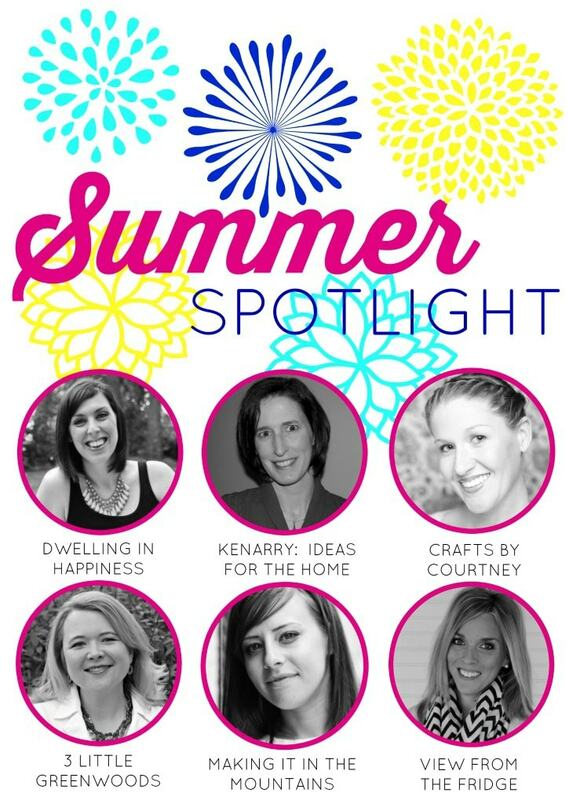 The Summer Spotlight focuses on great ideas for the home from a different blogger each week. 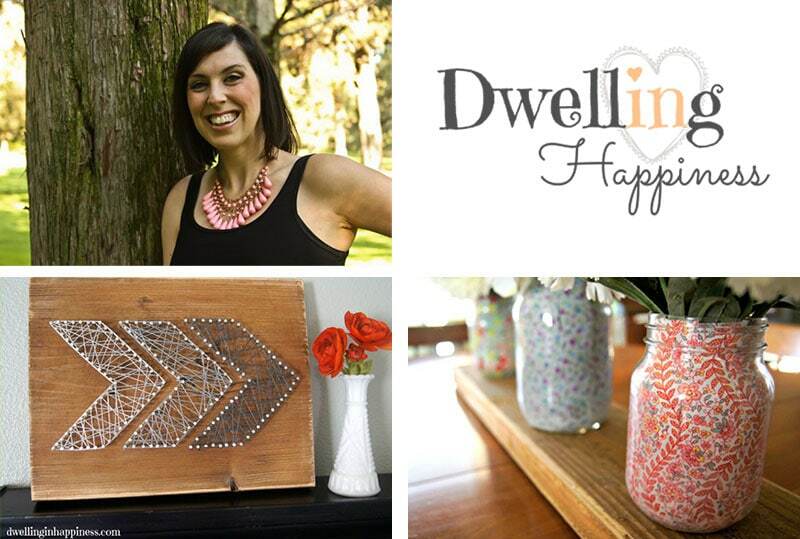 This week the spotlight is on Amanda at Dwelling in Happiness. Hi everyone, it’s Courtney from Crafts by Courtney! Today I’m so excited to share with you a great blogger and one of our co-hosts…. Amanda from Dwelling Happiness. YAY!!! Amanda started her blog about a year ago as an outlet to share DIY projects, Recipes, Organization and even Essential Oils. She lives in Oregon with her loving husband/best friend and little girl Jade. Amanda is also a stay at home mom, but before that she was a substitute elementary teacher for 4 years. 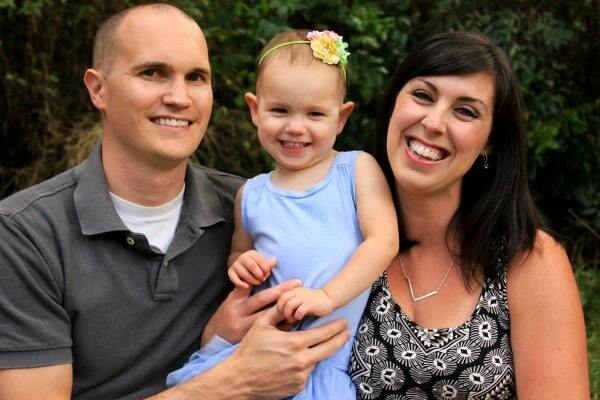 As well as blogging and her family Amanda also loves chocolate and thrift stores. Both things I’m a big fan of as well. I loved going through her blog and looking at all her amazing posts and ideas! This PVC Pipe Book Storage is one I plan on making for my boys playroom. I also love the makeover she gave this toddler table for her little girl. I have a kids table I really need to give a makeover too. My name is Amanda, and my hubby, daughter and I live in Oregon. I started this blog after realizing I needed a space and an outlet to just be me. I am a stay-at-home mom to a beautiful little girl named Jade. While I absolutely positively love being home with her, I forgot some of the fun things I enjoy doing. Being creative, doing DIY projects, decorating, thrift store shopping, and organizing our house are just a few of the things I had put aside while navigating this new adventure called “motherhood.” I’ve been itching to start having some fun again and see what new things I can come up with for our little home! Check out more from her about page. Since Halloween is coming up, I wanted to share a quick costume Amanda made. Flo from Progressive!! How cool is this!?! She really looks like her here. What a great job she did putting it together last minute. 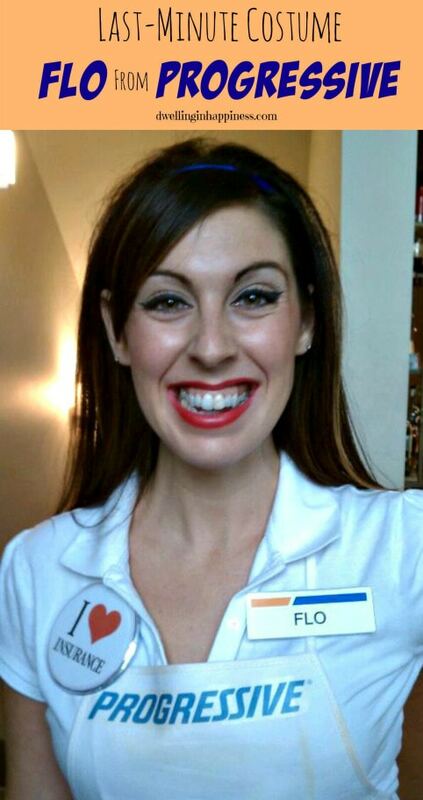 We had to run to the store before going to the party, and the checker literally thought I was the real Flo. Obviously she was blind, but still, the costume was THAT good! It’s the perfect last minute costume because you only need a few things. When I saw this project on Amanda’s blog I knew it was one I had to share. 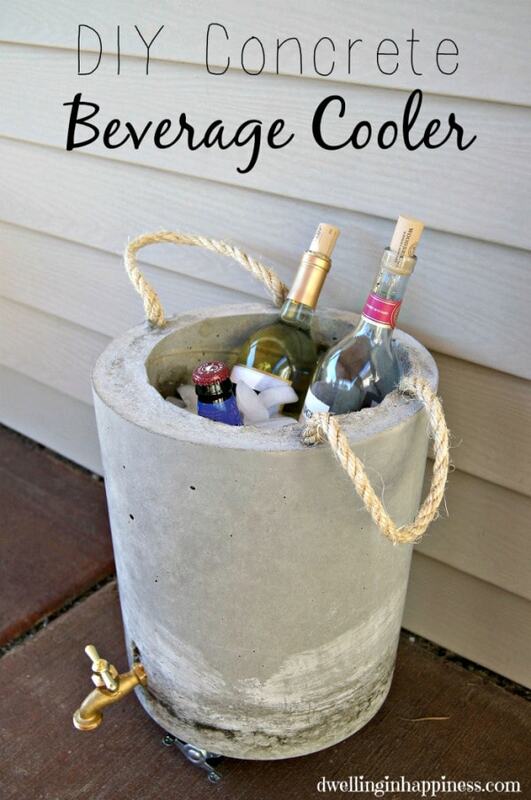 I think this Concrete Beverage Cooler is such an awesome idea. It looks so expensive and a perfect touch for an outdoor party. 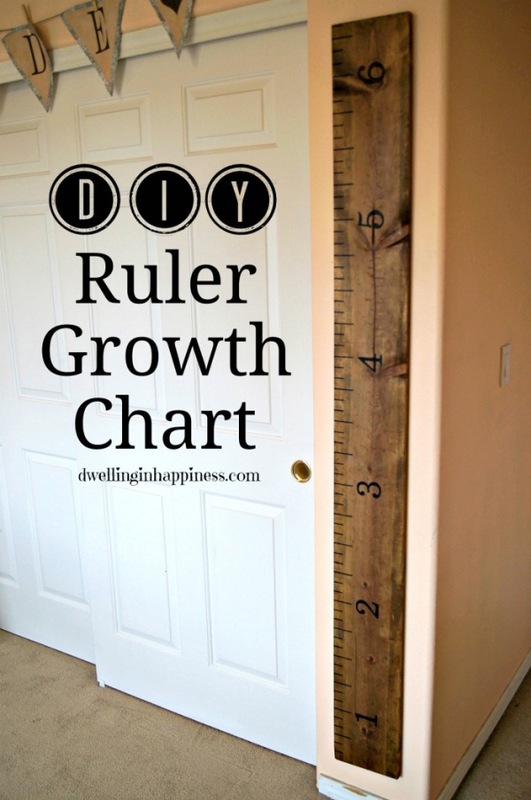 A project that I really love and have even made one for my kids is the Growth Chart. Amanda made this one as a gift for a friend of hers. This really is a great project and so inexpensive to make. I’m so excited to give this to my friend for her sweet little baby! It’s so fun to see the growth of our little ones throughout the year. 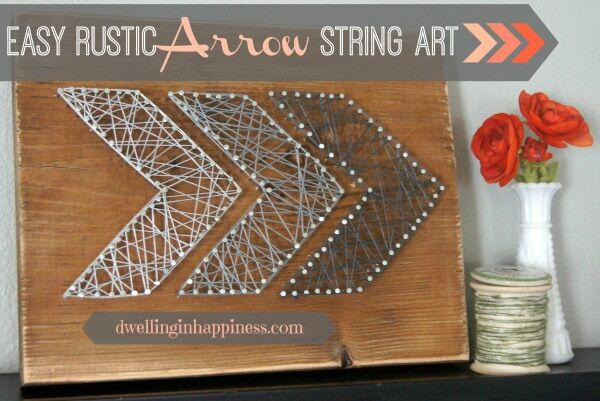 If your looking for a creative wall art project, then you’ll love this Arrow String Art. Amanda makes it look so easy to create a rustic piece of art for the house. I would love to make an anchor string art for my house. This string art thing is kind of addicting, and now I want to string art everything in my house. Here are a couple outdoor projects of Amanda’s that I wanted to share as well. 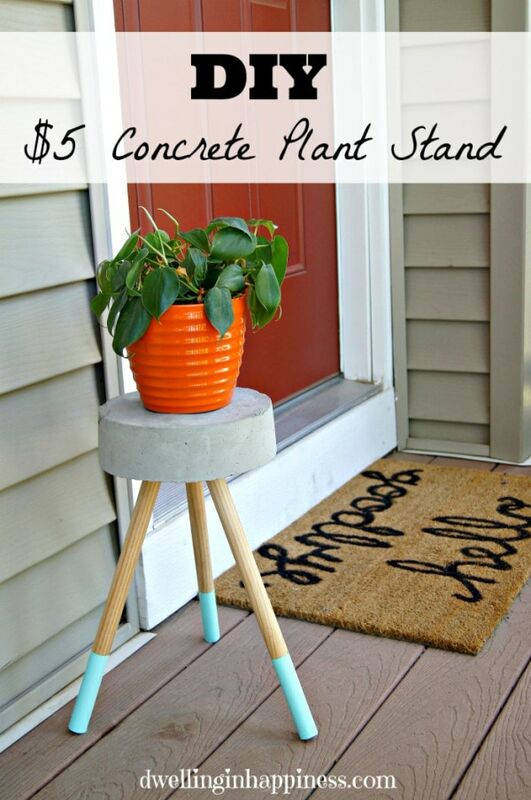 This Concrete Plant Stand is another cool concrete project Amanda did. The best part it only cost $5.00 to make, which I LOVE! Amanda’s blog is all about keeping projects on a budget. This is another project I want to add to my to do list. 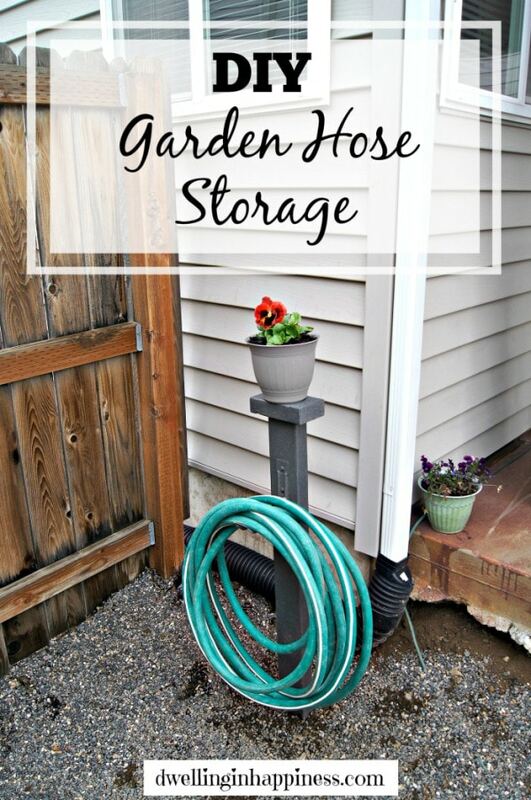 The Garden Hose Storage!! This is such a simple project but a great addition for the yard. I think we could all use one of these, or several! Amanda has written some personal posts as well, that I thought would be great to share with everyone. 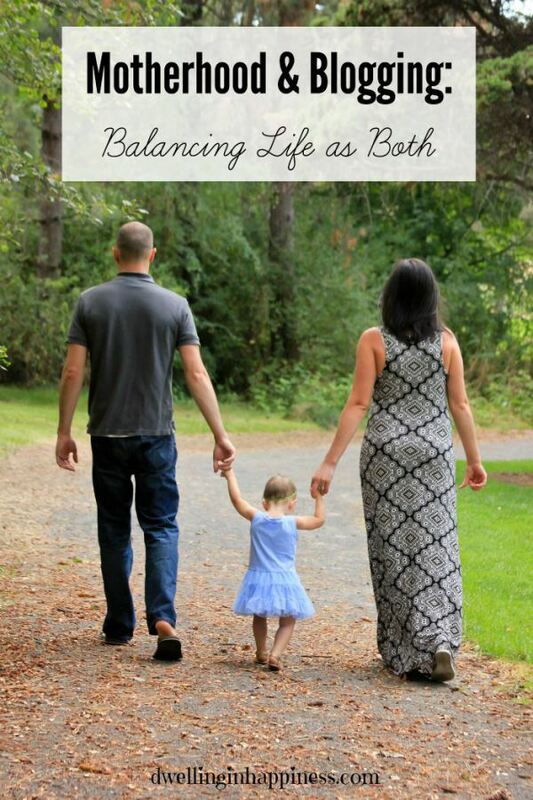 I just finished reading her Motherhood and Blogging posts. As a blogger and mother I really felt this post resonated with me and I know many of you will feel the same way. When it comes to being a mama, I’m no expert. When it comes to being a blogger, I’m definitely no expert. There are days where I struggle to find balance between the two, and some days I feel I’m only getting by. But, in the end, my daughter goes to bed fed, clothed, and happy. 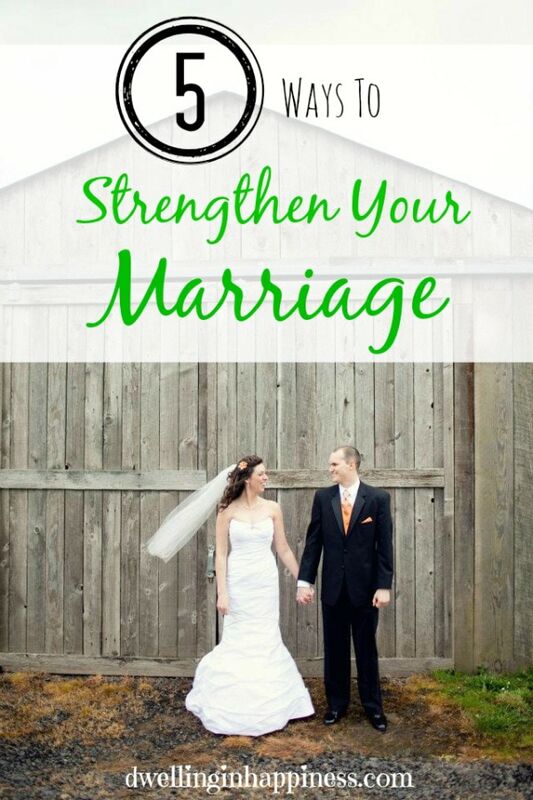 This was another personal post of Amanda’s, 5 Ways to Strengthen Your Marriage. These are all tips we should follow in our relationships. Number 5 is my favorite and something my husband and I just started doing together before we go to bed. We try really hard to do the following 5 things often, but we don’t always do them. Sometimes life gets in the way, we just had an off day, or we forget. It happens to us all! Amanda also has a great variety of posts on Essential Oils. 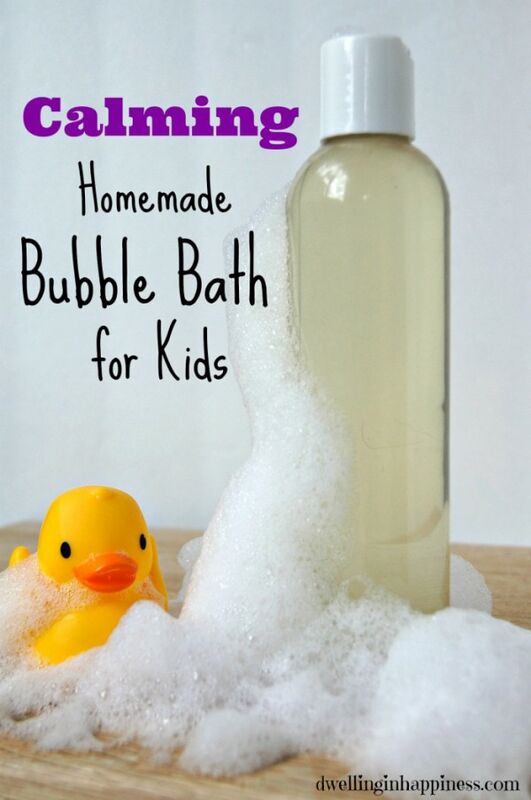 The Calming Homemade Bubble Bath is one of my favorites. Jade loves taking baths, and lately this bubble bath recipe has been a great end to our day! Not only is this great for kiddos, but it’s equally as relaxing for you! Win-win! I sent Amanda’s some questions a couple weeks ago so we could learn a little more about her and her blog. 2. What are you working on next? Right now, I’m not working on anything major. I have a few crafts in mind, but that’s about it. There’s a reason for the lack of a “to-do” list, and I’ll be spilling the beans on that later on! 3. What is your post writing process? When I sit down to write a new post, I use the pictures I took to help me think back about my process in creating that project. My process isn’t very scientific, I mostly just start writing as it all comes to me! As I write, I add in my edited photos, and make sure I have all the steps needed if it’s a tutorial. I make my “main” graphic that is used for Pinterest, and schedule the post. I also schedule it to Facebook for when it goes live! 4. Do you have any tips or advice for bloggers just starting out? When I first started my blog, I found myself comparing my home and all my crafts to other blogger’s. Don’t do that! It really discouraged me for awhile, and I felt like I wasn’t “good” enough to be a blogger. However, once I realized that every blogger has their own style, I learned to stop comparing. We are our biggest critics, and we just add fuel to the fire when we’re looking and comparing ourselves to other blogs. If you’re a blogger just starting out, don’t try to be like other bloggers. Be you; your style is unique and is what will bring readers to your blog! 5. What are your favorite posts?I think my favorite post so far is one I just recently shared; our guest bathroom makeover! My DIY concrete beverage cart is another one of my favorites. It was really challenging, but I was thrilled with how it turned out. I also really love the simplicity of my mason jar vases. They’re perfect year round! Lastly, my daughter’s nursery is one of my favorite rooms in the house, so naturally I really enjoyed writing the “nursery decor, on a budget” post! I hope you enjoyed this weeks Spotlight, I sure had a great time putting it together and getting to know a little more about Amanda. I think we would have a lot of fun together eating chocolate and going to thrift stores for craft projects. She sounds like my kinda girl! If you enjoyed this feature about Amanda, you may want to check out the other bloggers we’ve featured in the Summer Spotlight.